My name is “Tyler” and I am in grade three. It all started one day at lunch. I was wearing the jersey of a hockey team from a different city. A fifth-grader, Butch, swore at me and insulted my jersey. I was a little scared, so I just walked away. A week later, Butch kicked a soccer ball at me – so hard it knocked me down. While I was getting up he came over and swore at me and when I got up he grabbed my arm and pushed me down again. This time I was really afraid he would hurt me. I didn’t want to fight back because he was bigger. I was also scared to tell on him, because then he might get mad at me and hurt me. 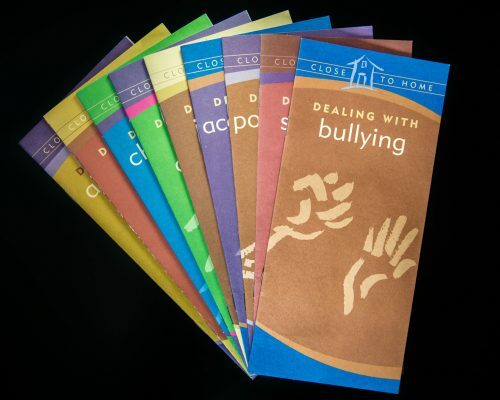 Be the first to review “Dealing With Bullying” Click here to cancel reply.